Maxwell: Do you have a favorite EP out of the four? Does it coincide with your favorite season? Nhor: I don’t think I do have a favourite, not yet anyway. They each have their own unique mood and special moment held in time. As each season approaches, I always consider it to be my favourite, but the flowering of bluebells in Spring is always a special occasion for me, and very likely a catalyst in realising the Wildflowers concept. Maxwell: Other than the imagery, what differentiates these four releases from one another? Are there any distinguishing characteristics to listen for when listening to the EPs? Nhor: I suppose ultimately this is for the listener to decide. I can hear a great deal of change, but I know how I play and write music, so maybe some things are more apparent to me, especially including the knowledge of what inspired each song, and the process undertaken to convert that into music. I think Autumn has the darkest mood. Spring represents an awakening, Summer is more hopeful than any of the others, but I won’t pass judgement on Winter yet, not publicly anyway, I’d rather people made their own conclusions about the new EP. Maxwell: Wildflowers are the cycle’s unifying image, yet these songs never seem to directly address them. Do you have any insight into how the Wildflowers concept lays the foundation for the music? 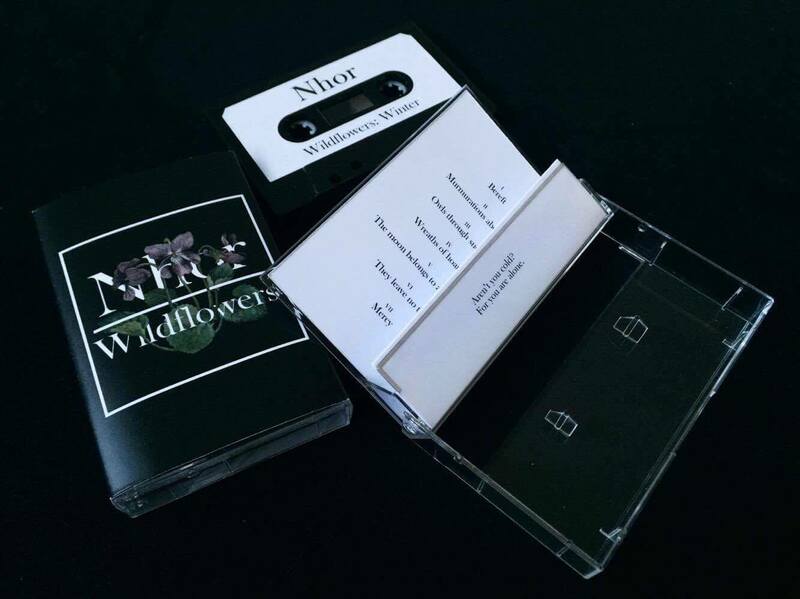 Nhor: The wildflowers fit the idea, of musical ideas. Wildflowers are beautiful flowers, that bloom for such fleeting spells within their own seasons. These hopefully mirror my music, which is made more of ideas and moods than it is of “songs”. These ideas hopefully fit within their own time of the year, mimicking the short spell of a wildflower in it’s given season. Maxwell: Even in your black metal releases, piano often takes center stage (Within the Darkness Between the Starlight comes to mind). What is your history with this instrument? What draws you to it? Nhor: I think simply, I find it very expressive. Luckily, I don’t think it requires a lot of skill to play it as I do, or coordination to press a key (which is the basic requirement of getting a nice sound from a piano, a violin requires much more coordination to make a note sound good). I don’t mean to offend any pianists, I know there are very, very accomplished pianists out there, but this isn’t what I’m trying to achieve. I’m trying to translate the mood of myself and the seasons. Also, the piano helps me to simplify my own work, and concentrate on the melodies and notes I’m working with. If there was no darkness between the starlight, would the stars still hold your gaze? I stick to that concept in giving the notes room to breath. Nothing is more fertile than the void. 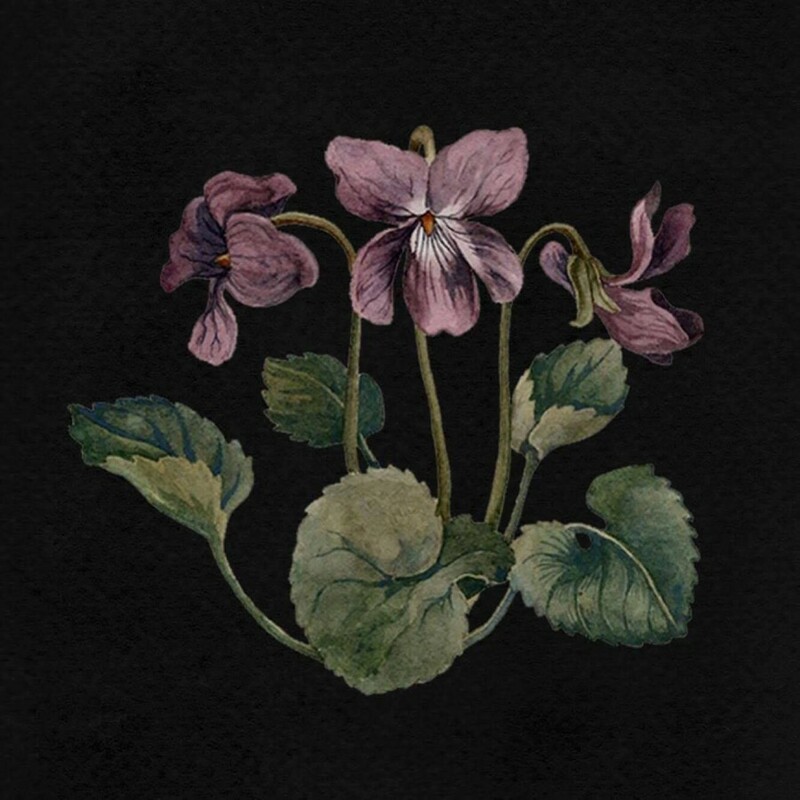 Maxwell: The Wildflowers EPs have a very raw, immediate sound to coincide with the music’s delicate delivery — almost sounding like they’re being played in the same room as the listener. Care to elaborate on what the recording process was like? Nhor: Recording is not something I look forward to. I enjoy writing music and exploring ideas but the recording can completely change my mood and take my focus away from what I was trying to create. There is a point where the recording/mixing/mastering process becomes more of a science than an art. I tend to leave a take rolling for a long period of time, to try and forget about what’s happening and let it come naturally. Maxwell: How did you approach writing these songs? Are any elements improvised? Nhor: I don’t really have any knowledge of music theory, so everything is just a natural progression or elaboration on an idea. I suppose everything is improvised. It’s strange to say but I can hear the melody before I’ve written it. I then spend some time chasing those notes, trying to find them, and exploring anything else I stumble upon along the way. Maxwell: Did you find it a challenge to impart discernible structure and unique moods to such minimalist, ethereal music? Nhor: It’s not something I have actively tried to achieve. If I have achieved it then it has been a welcome accident. I write what I feel, and try to not plan anything, or make any rules, especially not in structure. Maxwell: These songs are incredibly vivid within their stripped-down sound. Do you have imagery in mind when you write, or does your music paint a picture for you similar to how it does your listeners? Nhor: A lot of the time I’m drawing from a sight or experience that pushes me to play my piano. At times the music will pull old memories of my own which then create their own space or story with their song. Maxwell: The moon is a recurring character in the cycle. What does this entity mean to you within the context of Wildflowers? A heavy weight upon my eyes. Soft light spills over me. And it calms my wild swelling heart. I swear that it waits for me. So profound in its solemn vigil. I know it will return. I will be taken forever. Maxwell: Judging by your social media, you make a point of immersing yourself in nature. Do you remember a time where you realized the inspirational potential of the wilderness? Many years ago, as I stood beneath the stars during a cold cloudless night, something crept behind the cabin at the foot of my garden. As I gathered myself to approach, the overgrown grounds in front of me began to rustle. The cabin overlooks the forest to the East of my house, so it’s not unusual for creatures of the forest to visit. In fact, ever since this night I have taken such occurrences and crossings of paths to be a good omen. I stood waiting for the creature to re-appear for some time but it had dissolved into the night. As I moved to return to my place beneath the stars the cabin loomed in front of me. I opened its door and stepped inside to find my father’s old piano. On the top, sat his father’s binoculars and lantern. 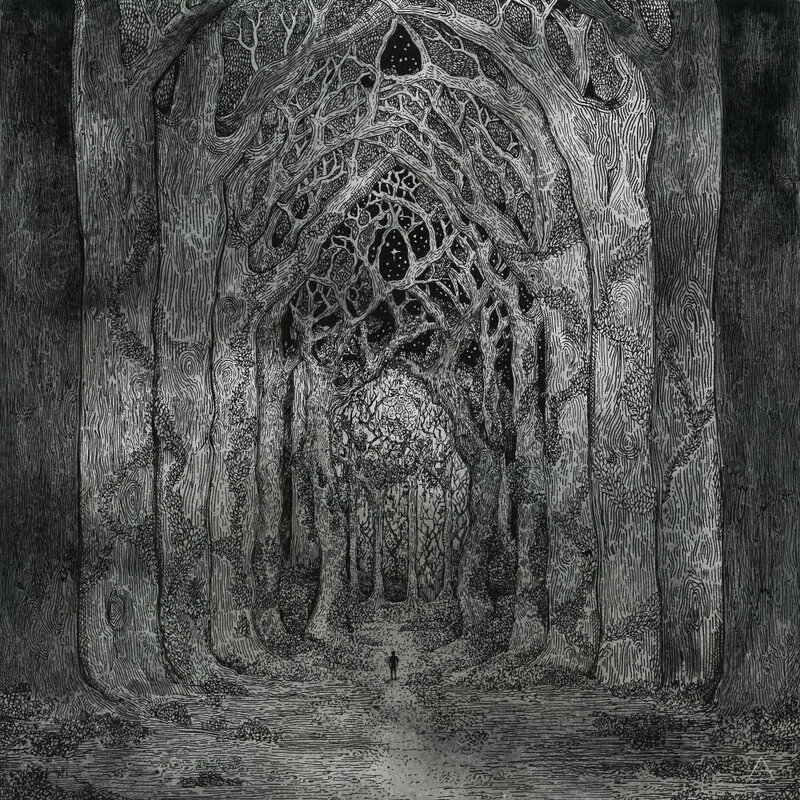 I have been told that he knew the names of every tree in the forest and each constellation overhead; knowledge that I would later find myself drawn to. I left the door open to let what little light I could in, and also in the hope that I would see my visitor once more. After lifting the piano’s lid I remember being surprised at how close its tuning was despite the weather. Then with my fingers stiff from the cold I began to slowly play. It was there that I stumbled upon two chords that ached with sadness. I played them over and over listening to how the room began to fill with their song. I could feel the atmosphere within the cabin changing, beginning to flow out of the door and into the starry skies above. Today though, I wonder if it was in fact the wild night making its first tentative steps towards my side. One thing I do recall clearly is how the two chords sang out like the stars above. Their pale notes hung in the air, painting the room with their light; as if the stars themselves were softly appearing within the darkness around me. It was there that I found Nhor, it was in this moment that its all began. From this, I became drawn further and further in the forests and woodland that surrounded where I live, becoming obsessed at times. This has been the case for many years now. 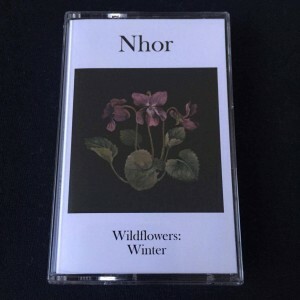 Nhor is really an extension of my life, I’ve been inspired greatly by my surroundings, and they have helped shape me, and also helped me to answer many questions about who and what I am. Maxwell: With the Wildflowers cycle coming to a close, how do you feel about the past year of the Nhor project in retrospect? 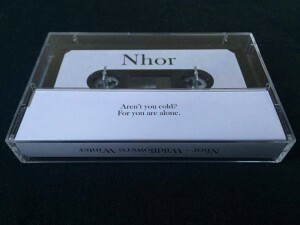 Nhor: I had a clear idea in mind, and I feel that I’ve achieved what I wanted to. I’m really pleased that people have taken to the idea of me releasing my music seasonally instead of one big single release. It’s allowed me to make a very broad release, but focus quite finely on specific aspects. Also, I must thank the people who have consistently ordered everything I have ever made, and who message me with their support. I’ve received so many thoughtful messages during each season. It’s interesting to hear from people who find themselves drawn to differing seasons. Those kind of things are what help inspire me to continue to release my music. Maxwell: Do you have anything you particularly desire your listeners to take away from these EPs? Nhor: It’s enough of an honour for me, to know that people have chosen to spend their time listening to my music. That is something I struggle to get my head around at times. If there was anything I wanted them to take away, I suppose it would be a desire to connect further with nature, or to help maintain the bond between themselves and the natural world that they already have. Maxwell: Can you give any information as to the future of Nhor in the coming years? 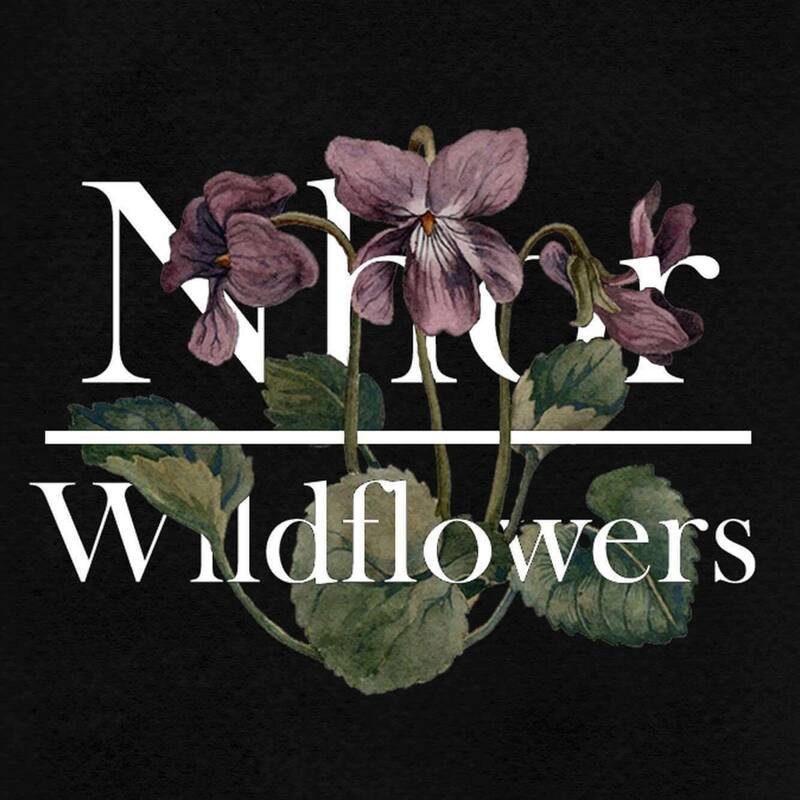 Nhor: The full Wildflowers album is roughly 1 hour 40 minutes of minimal piano. I feel I’ve explored this quite thoroughly. I have a few ideas that have come from Wildflowers, and also worked backwards to some ideas I didn’t get the chance to complete when writing Within The Darkness Between The Starlight. I suppose it all depends on what one I get around to finishing first. Nhor: Sic transit gloria mundi. Thank you.